1 block north of Empire Mall. 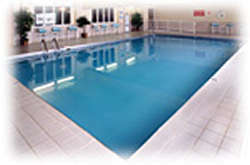 Our 61 unit motel offers quality lodging at economy prices. One queen or two queen beds. Whirlpool suites include one king or two queen beds. Indoor heated pool, elevator, in-room iron/board and hairdryers, non-smoking rooms, phones with data ports & free local calls, free deluxe continental breakfast and remote control cable TV, free HBO and in-room movies. Special rates for groups, seniors, AAA members. 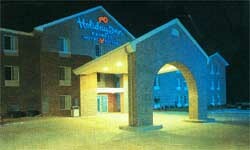 Newly opened 79 unit hotel easily accessible from I-29 on Exit 78. Located just a few blocks south of the Empire Mall. Free deluxe continental breakfast, free local calls, frequent stay program, indoor pool/whirlpool, fitness center. LodgeNet in-room movies and games, iron/board, data ports, voicemail, coffee pots, hairdryers standard in all rooms. Sixteen suites ranging from executive suites to whirlpool suites. All suites include microwave and refrigerator. Kids 19 and under stay free. Located off I-29 and Exit 77. 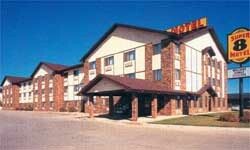 Our 91 unit motel has attractive, comfortable rooms, single or double, with queen beds. Whirlpool suites include a king bed, loveseat and a TV/VCR. Executive suites with two queen beds, work desks, recliners or love seats and refrigerators. Remote cable TV with free HBO, coffee and continental breakfast. Welcome to Sioux Falls, the largest city in South Dakota. 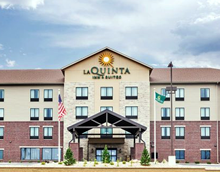 With Sioux Falls being the retail and medical hub in our state, our hotel is located right where you want to be! With easy Interstate access off of I-29 and I-229, our hotel is not only easy to find but is minutes from the Empire Mall for your shopping experience. 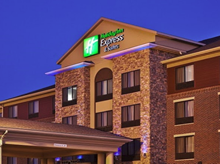 This Holiday Inn Express & Suites hotel offers a state of the art business center, free fast high speed Internet, an expanded fitness facility with Precor equipment, and 900 square feet of meeting space. We are just a short drive from businesses like the Avera Heart Hospital and Corporate offices, Midland National Life Insurance, McHale Institute, Missouri River Energy Services, and Colorado Technical University. With best-in-class facilities, our hotel offers you the best services and amenities. May it be the free Bright Side Breakfast with a menu that includes muffins, juices, cakes, and cereals, or your room with an oversized work desk, free wi-fi high-speed Internet access, a coffeemaker, refrigerator, microwave, and Plug-and-Play flat-panel Samsung TV with 30 cable channels, La Quinta offers the best. Accommodate every type of event such as grand exhibits to intimate boardroom conferences in our versatile meeting space and our beautifully appointed meeting facilities, which can be set up in just about any style to satisfy your requirements.